Rajasthan Police Constable Recruitment notification was released on 17th July 2018 with 623 Constable vacancies. This page mentions the full details of this Rajasthan Police Constable Recruitment 2018, check it. For filling this Police Constable Application form from 17th July To 10th Aug 2018 through the official web page i.e. police.rajasthan.gov.in. 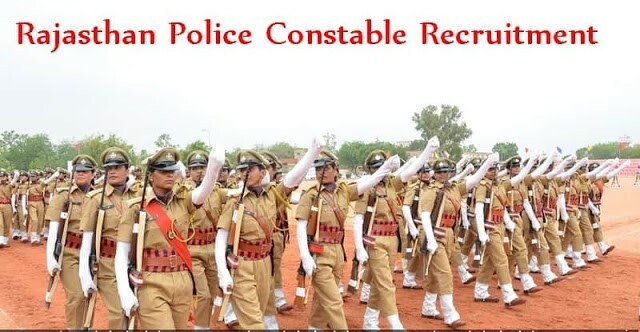 Fill Rajasthan Police Constable Online Application FormThe Rajasthan Police Constable Recruitment informed for the candidates who are really interested in applying for the Constable vacancies. For this process, the Rajasthan Police State Board officials have also announced the deadline for the application i.e.10th Aug 2018. So, for this selection process, aspirants can know the exact information likely, the application starting date & The Ended date of the police.rajasthan.gov.in Recruitment As the related post. For this, the Rajasthan Police Board officials want to choose the candidates to fill up to 623 Constable vacancies. Read proper syllabus if you are participating in this recruitment. The complete qualifications for Rajasthan Police Constable Recruitment notification 2018 as per the job wise. candidates should have passed 10th or equivalent exam/ Candidates Must have passed 10th or 12th with Physics, Chemistry, and Maths/ Must Have LMV / HMV Driving Licence. Candidates, age must be as per the Rajasthan Police Constable Recruitment notification. Rajasthan Police Age limit details are mentioned below. Selected candidates will get the pay scale as per the norms of the Rajasthan Police Constable Recruitment 2018. Rajasthan Police Constable Salary is Rs.5200-20200/-+Rs.2400/- grade pay. The district wise vacancy details of Rajasthan Police Recruitment is given below. There is payment for the Rajasthan Police Constable Recruitment. They need to pay as per the rules of the Government. Apply before the last date for this Rajasthan Police constable Job Vacancy. To fill the form the applicants can refer the Official link The finalize candidates for the post of Rajasthan Police Constable can get placed in the State Of Rajasthan State. According to the Post, We give the vacancy detail in post wise. Can check clear to know. Candidates can also have they Job Notifications If you are not interested in Rajasthan Police Jobs They also switch on the other Latest Govt Jobs. Our page gives the previous papers for you for practice purpose.